With Commencement just around the corner, Loyola Marymount University have been running a pretty clever campaign to get the entire university community involved in the celebration of their newest graduates. 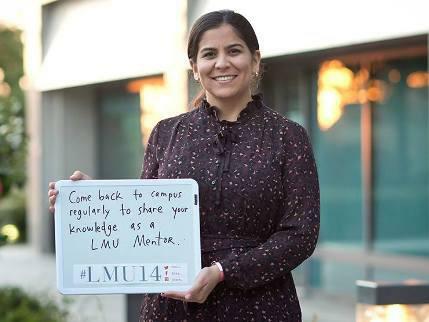 The digital campaign focuses around the use of an event hashtag #LMU14 which encourages alumni, faculty members, friends, family and the entire LMU community to share their advice and well wishes to the graduating class of 2014. Could there be a simpler and more effective way to drum up excitement about graduation? As part of the #LMU14 campaign, Loyola Marymount have also shared an image gallery of alumni and faculty members sharing their words of wisdom which not only generates as much excitement about graduation as possible but also gets the alumni community involved and serves as a gentle reminder to the graduating class that the connection to their university doesn’t end once their caps have been thrown in the air. Just as it’s pretty much guaranteed that if you graduated in 1999, Baz Luhrman’s Everybody’s free to wear sunscreen’ was probably played at your graduation it’s also safe to assume that students will tweet before, during and after the ceremony. Giving them a special hashtag to engage with can lend a sense of unity to the graduation experience. Graduation is a special milestone that students and family members spend years working towards so it’s especially fitting that Loyola Marymount University has seen fit to go that extra mile to create a unique once off hashtag that really promotes and marks the momentous occasion for their graduating students. A campaign such as this is a simple but incredibly effective way to maximize student and alumni engagement around a specific event. It doesn’t just work for graduation though, Loyola Marymount are also running a #LMU18 campaign which encourages incoming students to share their excitement about being accepted to the university. A simple event hashtag campaign can promote whatever event you would like it to and can be effectively implemented by any college or university.